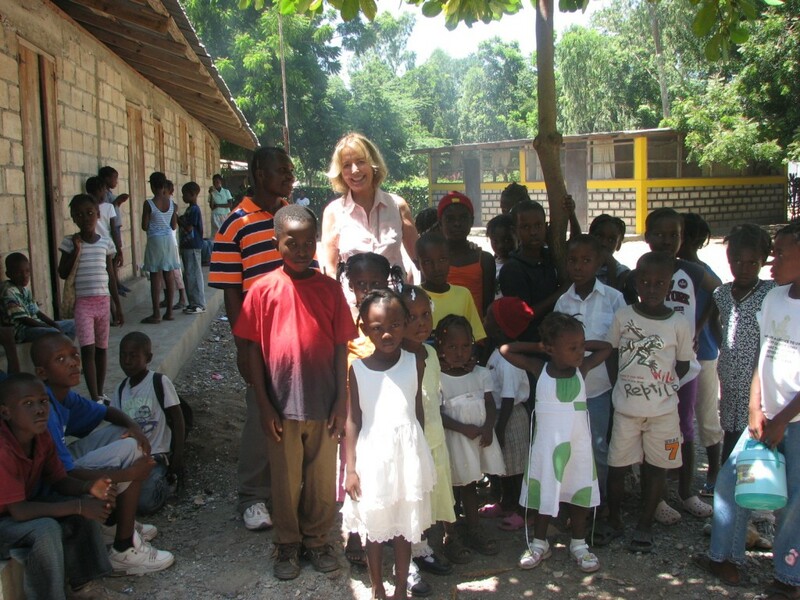 Principal Met Elie, Kathleen Viola, and Students at the Foni Bo School in Gros Morne, Haiti. Girls from Hispanic/Latino backgrounds experience the highest school drop-out rate in the US. Education is the major way to empower these girls to develop self-sufficient lives and contribute to their communities. The Children’s Scholarship Fund for Girls was established in 1991. The original intent of the fund was to support the education of young girls (kindergarten through high school) living on Long Island, New York, who were refugees fleeing the killings and atrocities in El Salvador’s civil war. Over the years, the scope of the fund has broadened to include immigrant girls from the many Central and South American countries who are living in New York and Washington, DC. The CSFG welcomes girls from a variety of countries including Ecuador, Honduras, Guatemala, Mexico, Puerto Rico, Colombia and Peru. Most of the children we support live in refugee homes in impoverished neighborhoods. Their neighborhood schools are inadequate and plagued with violence. The 2010 earthquake brought the CSFG to Haiti. We now support teachers and students at the Foni Bo School in Gros Morne, sixty miles north of Port-au-Prince. Tens of thousands of earthquake victims fled to Gros Morne, and the CSFG has pledged to support 50-100 children through high school with a special fund.